Mariam Coulibaly is a 1.92m Malian center born in 1997 who has played with Mali Senior National Team and won has also been African U16 & U18 Champion. Mariam has professional experience in Spain and in the 2016/17, despite being just 19 years old, she averaged 10.1 points, 10 rebounds and +14.6 efficiency in 23 minutes per game. 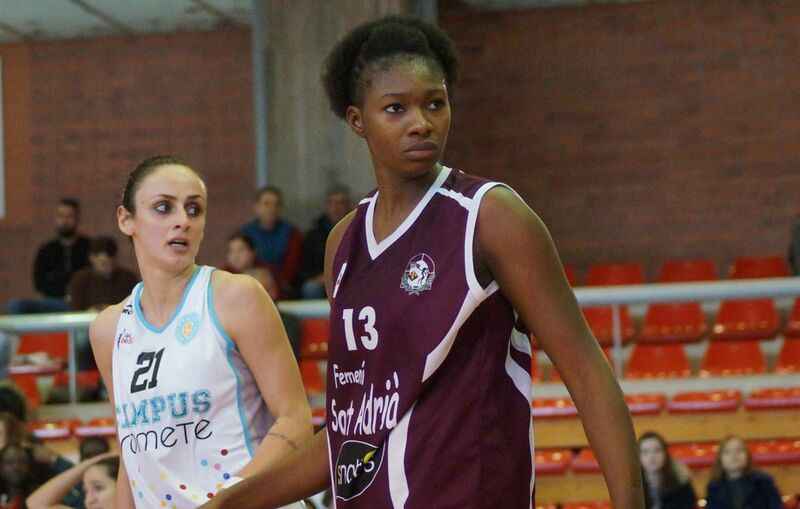 Mariam Coulibaly is a player with a good basketball body and she has a brutal natural rebounding instinct. Mariam is currently one of the best young players worldwide in her generation and she has great upside to develop in the next seasons in order to play at the highest level. Mariam Coulibaly won the Gold Medal in the U16 African Championship with Mali National Team and she averaged 9.7 points and 8.2 rebounds in 25 minutes per game, being also named as the best center in the Championship. In the 2014 summer, Mariam Coulibaly played the U17 World Championship and she averaged 8 points and 9 rebounds in 28 minutes per game. Mariam also played the U18 African Championship in 2014 and she won again the Gold Medal and averaged solid 9.6 points and 11.6 rebounds in 26 minutes per game, being the best rebounder in the tournament and named also the best post player. In the 2015 summer, Mariam Coulibaly played the U19 World Championship and she averaged 11 points and 10 rebounds in 23 minutes per game. In the 2015/16 season, Mariam Coulibaly had her first professional experience and playing in Spain for Spar Gran Ganaria she averaged 3.7 points, 4.4 rebounds and +5.5 efficiency in 11 minutes per game. Mariam Coulibaly kept improving and she had an impressive 2016/17 season in which with Gran Canaria she averaged 10.1 points, 10 rebounds and +14.6 efficiency in 24 minutes per game in Spanish top division. Mariam Coulibaly was the 2nd best rebounder in Spanish Liga Femenina 2016/17 and she had great games against Bembibre (18 points 19 rebounds +34 efficiency - MVP of the Week), Mann Filter (20 points 19 rebounds +34 efficiency) and Cadí La Seu (19 points 16 rebounds +35 efficiency). In the 2017 summer, Mariam Coulibaly won the Bronze Medal in the Senior African Championship and she averaged 6.8 points and 4.5 rebounds in 13 minutes per game, shining against Cameroon with 19 points and 6 rebounds in 17 minutes. Mariam Coulibaly signed with Femení Sant Adrià, in Spanish top division, for the 2017/18 season and she averaged 9.7 points, 7.7 rebounds and +12.3 efficiency in 21 minutes per game, qualifying her team for the Queen´s Cup.